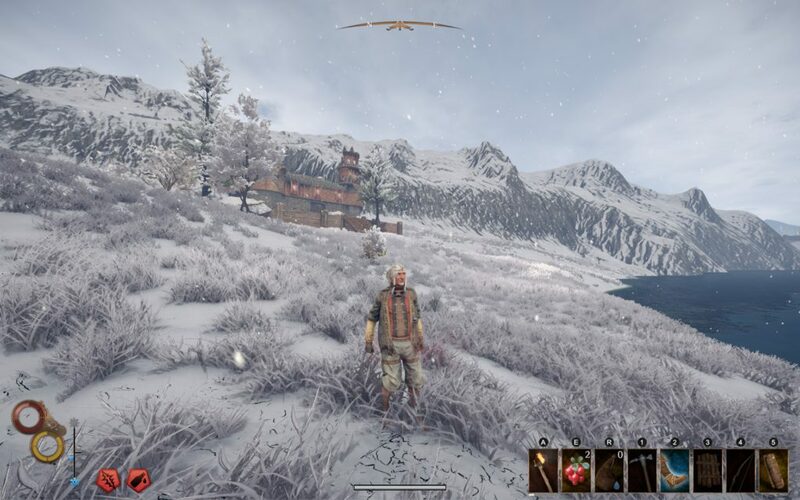 Nine Dots Studio unpacks with Outward, an open-world RPG mixed up with several survival elements. A downright brutal and challenging game where your own choices will shape the story you experience, as nothing stops you from traveling far away within the first few hours. As challenging as it is to review such a title, please read on, it might surprise you. You begin as the survivor of a wreckage in the small town of Cierzo where you hear you are late to pay the Blood Price, a debt set on your bloodline for some tragic mistake your ancestors made. You’re given five in-game days to gather a considerable sum of money or you will lose your house. Before you ask, yes, time does matter and these tasks will expire. This little quest seems to be the incentive for you to walk around town in a small tutorial-style trip before you’re able to head out into the world. From there on out, you choose what you do. You can be a hunter to live off the land and explore the wilds or you can perform tasks to redeem your name in the main town. You can even leave it behind and head out to see what other adventures await you once passing the borders. The story of Outward is more a series of scattered narratives you can stumble into at any time, while others will disappear given you don’t reach them in time. No-one will wait for the hero to arrive and a bleeding townsman will end up bleeding out if you don’t find him or simply never go looking for him. In turn, you don’t really die. Once defeated a small narrative text will appear on your loading screen explaining what happened and you wake up in a different place to continue your story. Basically, every time you play this game and every session you spend in it will be a different story for you to tell. This way of discovering a story usually means you have bits and pieces of the grander narrative by choosing one path and learning new things by traveling a different road. The graphics aren’t too demanding and still quite satisfying to the eye. The environment is alive and vibrant. Weather effects are quite beautiful and the creatures are all unique in their own way. The character models and details sets us back to the older Elder Scrolls type graphics which can trigger a sense of nostalgia for some or a lack of aesthetic to others, it’s quite difficult to be objective in that regard. Though if character models don’t matter as much as your environment, you will have quite a nice time roaming through the different regions of this game. Here there still seem to be a few hitches in certain areas of the game. Sometimes you don’t hear if you’ve been hit by a weapon or the creature rushing to eat you remained entirely soundless until the battle music sends you in a state of panic to find where the danger comes from. 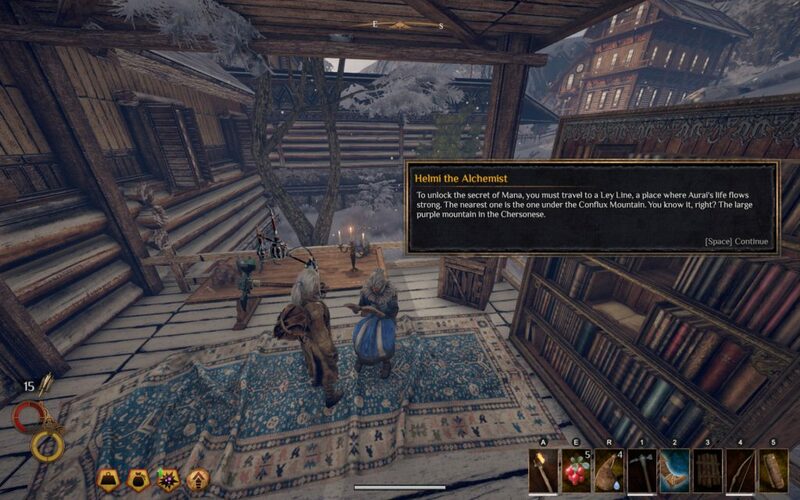 There is a minor degree of voice acting in the interactions with the NPC characters in town, usually limited to the first phrase of the conversation window. Finally, certain effects like having a cold or being cold shows up on your screen in ways of text such as “You are coughing.” or “You are cold.”. This is a disappointing experience as there is potential for more immersion in hearing an actual cough or shiver or groaning when bleeding rather than limited, basic and frankly unengaging voice acted conversations. That being said, the music is entertaining mixing tints of flutes, lutes and medieval strings. It is enjoyable to listen to if perhaps a bit repetitive. 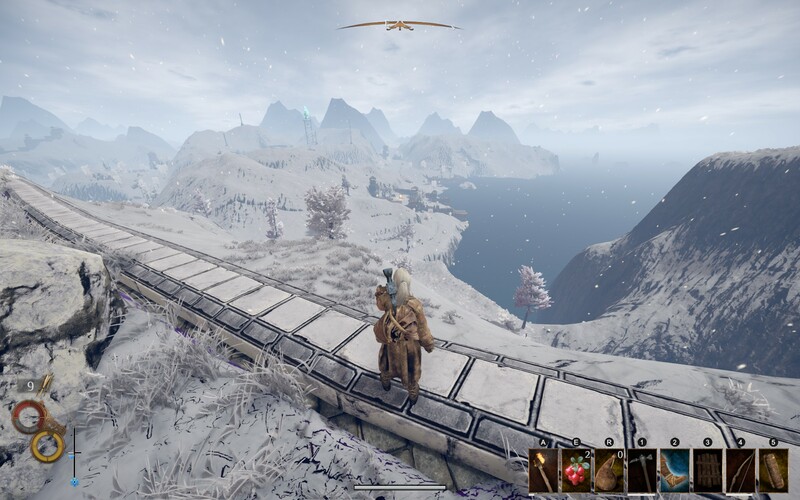 Outward is an open-world RPG adventure/survival game. The player is quite literally thrown into this world with nothing but the clothes on his back and a basic idea of where to go to get killed. This is not an understatement, you will get defeated quite often before you will experience any sense of real progression. First, there is no way to fast travel in this game. You will be running from point A to point B and you will be able to meet all sorts of dangers that will force you to rethink your plans or even abandon them altogether until you get better gear. Please do not see progression in terms of levels, skills, power and all the typical aspects an RPG game tends to offer. There are no levels in Outward. 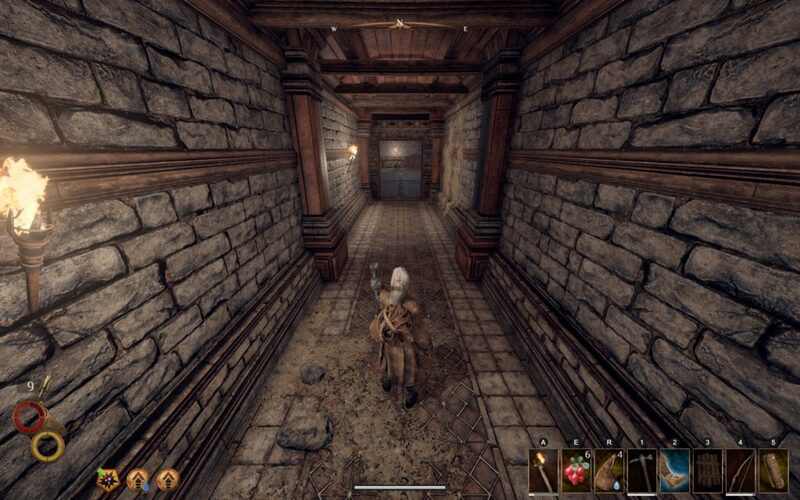 You will progress only by surviving out in the wilderness long enough to have some adventures which could lead you to materials to craft new gear or perhaps even find the gear you are looking for. In time you can amass some money in order to buy skills which will in turn make you more agile in battle, which will increase your survivability. You see where this is going, right? Aside from the unforgiving and tough combat, you have a wide variety of other things that could kill you. The weather will impact your body temperature which can lead to disease such as the common cold. Following this, you need to eat and drink in order to survive, starving will lead to negative effects and eating a raw egg could get you an indigestion. Whilst it isn’t particularly hard to maintain this, it will be something to keep an eye on since food can rot and surviving only on berries will send you foraging more than adventuring. Finally, don’t forget to sleep. The longer you’ve been adventuring, the less your health and stamina will recover due to exhaustion. Sleeping requires a bedroll and your choice of how to spend your night sleeping, guarding or repairing your stuff because you might get ambushed and your stuff decays as it gets used. 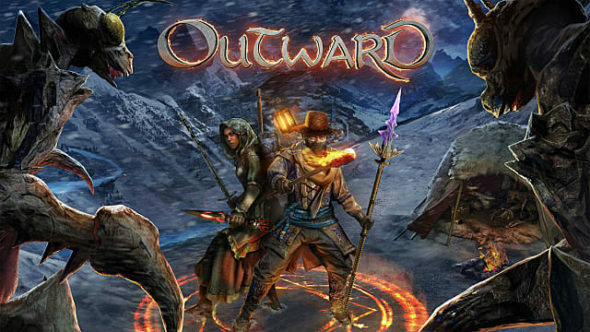 Outward brings a bunch of new and interesting stuff to the RPG scene with its different mechanics and features. Since it is extremely unforgiving and hard to manage, it is very likely players will put this game away after the first few hours of play due to the sheer effort it required. People who will go through the beginning and go for the long game will truly enjoy the reward at the end of their adventure.